Here you'll find a fantastic selection of adult and youth apparel. 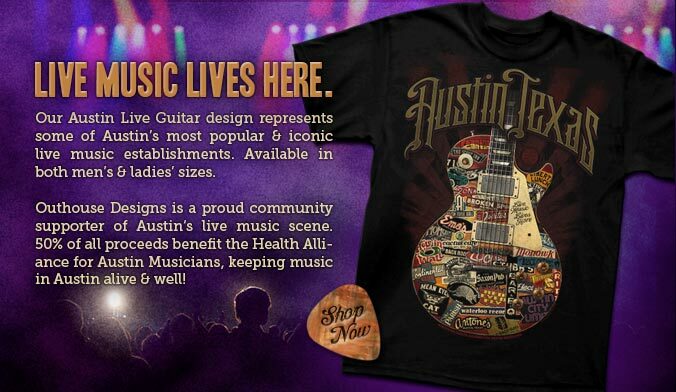 Our popular categories like Absolutely Austin and Texas Souvenir -- all custom designed and printed inhouse. Every day, our professionals create the best direct silk screen prints possible. We are highly experienced at printing on t-shirts, sweatshirts, jackets, uniforms, bags and more. We are the Austin screen printing pros! Learn more about our screen printing services. 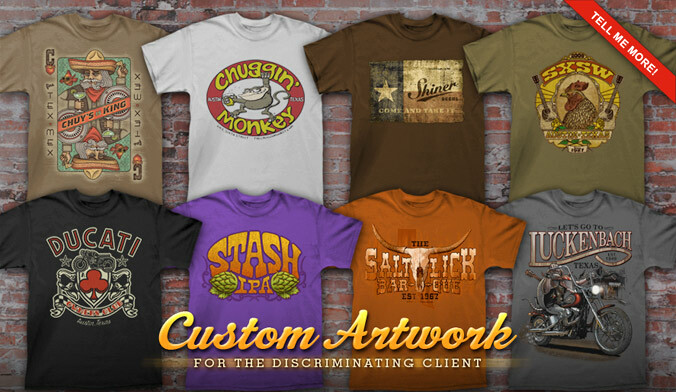 Outhouse Designs can embroider your logo onto any type of apparel in the most visually appealing, cost-effective manner possible. Get a professional look for your organization -- at an affordable price! Learn more about our embroidery services. 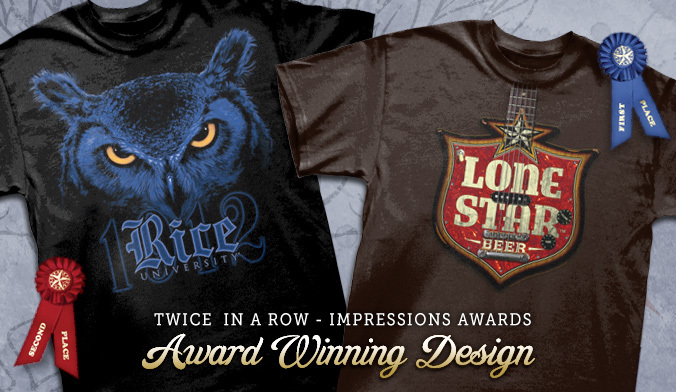 Our award-winning artists work to produce eye-catching designs for a variety of custom products. Whether prepping an existing design or creating an entirely new image, we'll help you look your best! The variety of promotional products are almost limitless. Whether you are looking for a specific item or just browsing for ideas, our site is your one-stop source. Easily shop for the hottest items on the market! Shop our promotional products catalog.